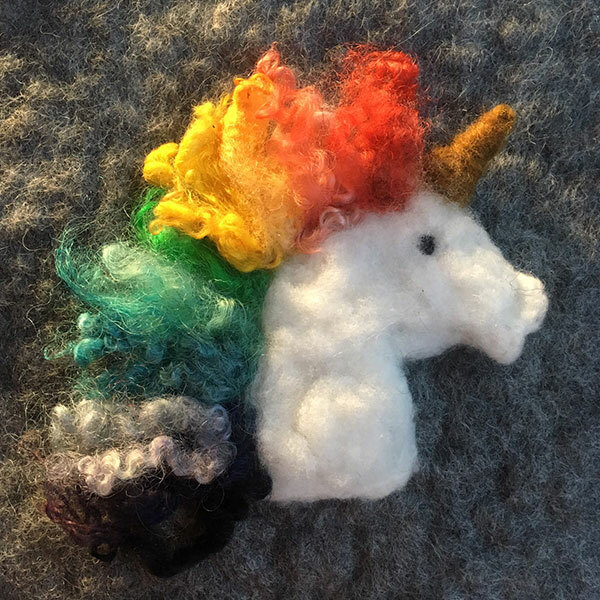 Contains backing felt, needle, carded wool and locks as required. 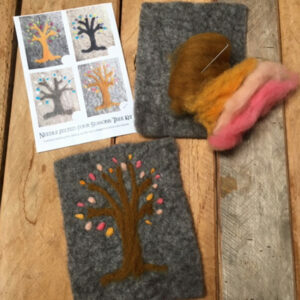 Kit contains felting needles and wool required to make your own. 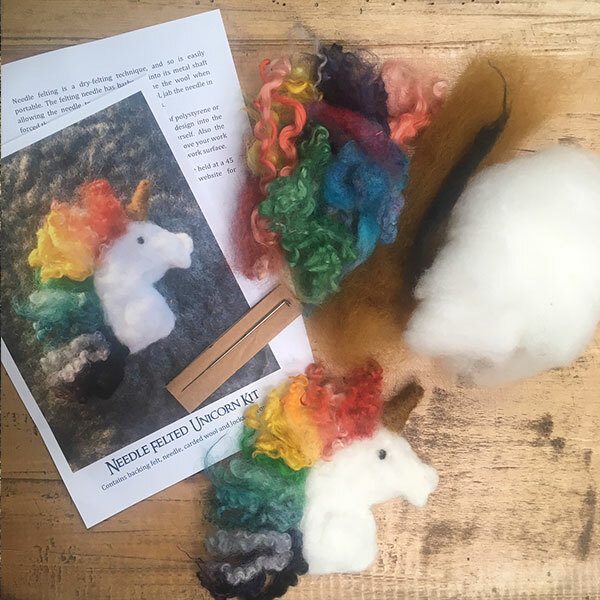 Children would need to be supervised as the felting needle is very sharp and has small barbs on it.Needle felting is a way to make sculptural felt shapes. 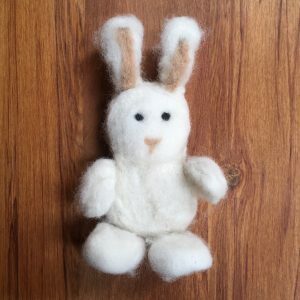 Because needle felting is a dry-felting technique, it is easily portable. To “needle” the wool, jab the felting needle in and out of the wool repeatedly to interlock the wool fibres. 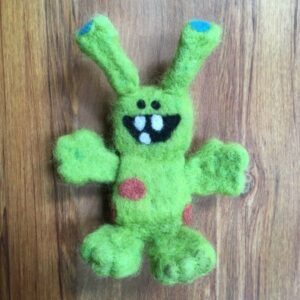 Needle felting the wool makes it denser and turns it to felt.